Romanadvoratrelundar, or Romana as she’s more commonly referred to on the show, is another recycled/gender bender custom. 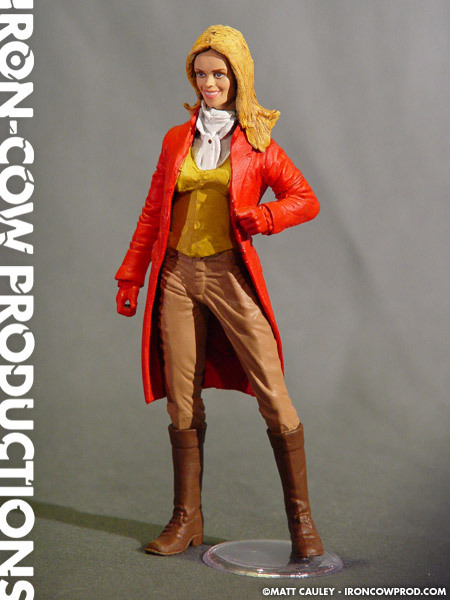 Initially I reworked a McFarlane Ichabod Crane figure, giving her the obvious female enhancements. This proved to be too scary, though, and essentially ruined the base figure. However, all was not lost. 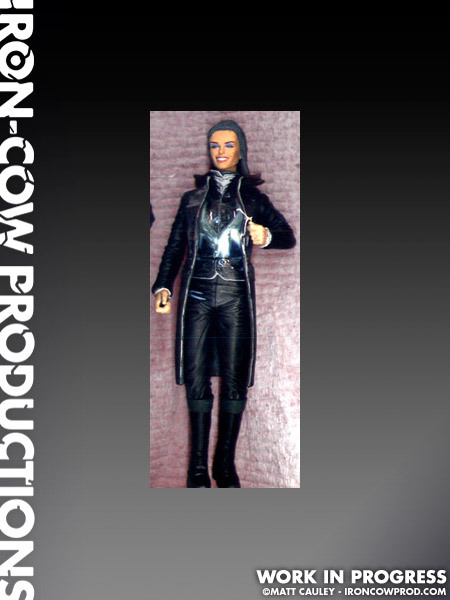 I took the abandoned sculpt I did for the Eighth Doctor (another Ichabod) and was able to produce a far more natural looking pose. 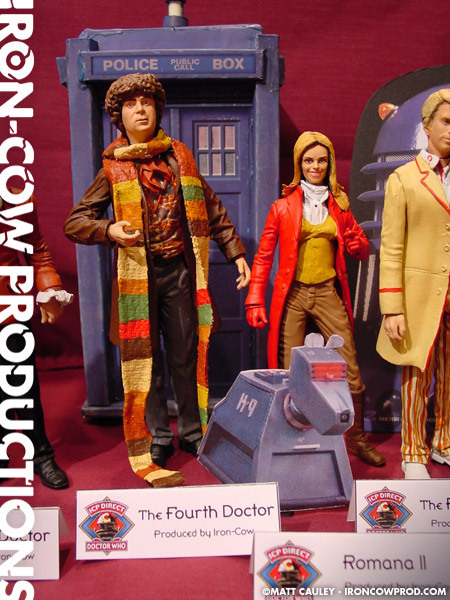 Essentially, Romana has Ichabod arms, torso, and boots and her legs were spliced in from a Revolver Ocelet figure. The head is a reworked Vanessa Kensington noggin from the Austin Powers line. The hair was created with Kneadatite and vest. Clear vinyl was used for additional costuming details. Though she looked pretty on-model when primed, I’m not so convinced of the likeness of the painted version. Still, as for right now this is the closest I can get. Any suggestions for a more accurate looking Romana would be greatly appreciated.